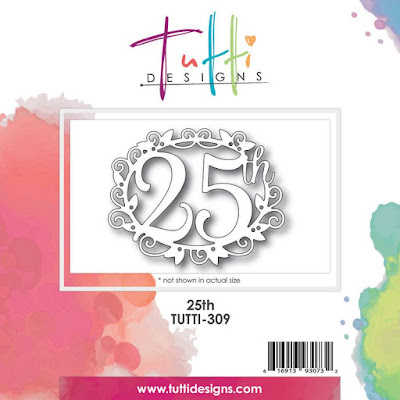 This Tutti Designs - 25th die is perfect for a 25th anniversary or even a birthday card. 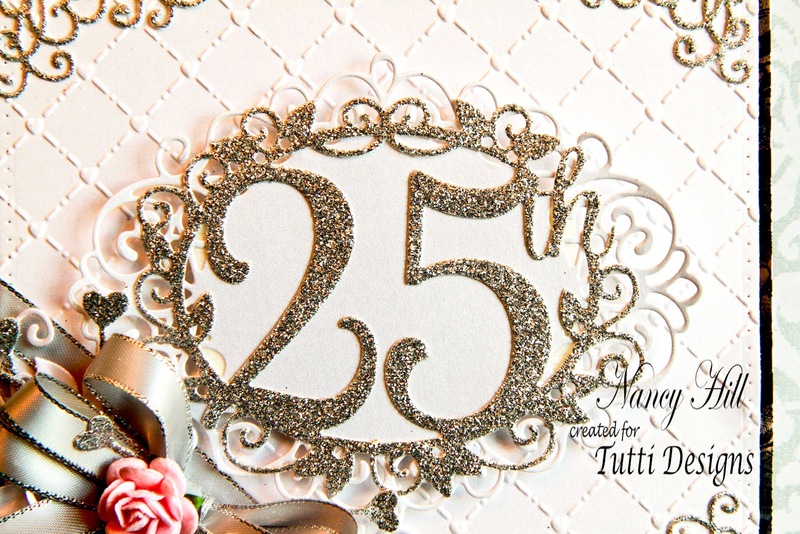 Also, Tutti Designs has another gorgeous anniversary die for the 50th anniversary. You will want to view all of the stunning Tutti Designs wedding and anniversary dies in the Tutti Designs April Folder by clicking HERE. I cut out this die with silver glitter card stock from Stampin Up. I love the sparkles in this card stock for this die, border and heart stems for this card. 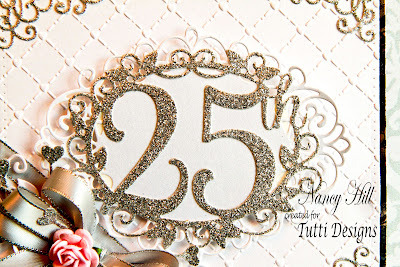 I added another die cut behind the Tutti Designs 25th die cut to bring out the gorgeous details of this die and adhered it to the card with 3D foam tape. This card measures 7" x 7 1/4". A silver bow was created and glued a Wild Orchid 15mm pink rose in the center of the bow. GORGEOUS! Stunning design Nancy! Thanks for amazing inspiration using this die! This is exquisite Nancy, truly regal for such a wonderful occasion. Love it! Wow Nancy this is absolutely gorgeous Ilove the design of it.